Just a Lil Blog: PANIC!!! PLAGUE!!! The affliction is characterized by chronic acute...cuteness. The new statistic comes from a national phone survey of more than 95,000 parents in 2011 and 2012. Less than a quarter of the parents contacted agreed to answer questions, and it's likely that those with autistic kids were more interested than other parents in participating in a survey on children's health, CDC officials said." To recap what that said...they called 95,000 people. Less than 23,750 agreed to participate. They believe it's likely that those who did participate were more likely to have a vested interest (i.e., were autistic or had autistic children). So, no medical records, just a phone survey with parents. 1:50 is the number the survey returned. And that's a good thing for parents of kids with autistic children, not a bad thing. First of all, understand this: Children either are or are not autistic. Adults either are or are not autistic. Surveys and censuses do not create autism. They just expose it to public scrutiny. So while you may have mixed feelings on the news that the CDC believes the number of autistic people is growing yearly, the number they came up with is a good thing for you or your loved ones. Why? Because the more inflated the number (and that's not fair, I'm saying inflated like it's a fact that the number is grossly overestimated) the more concern, the more research, the more funding, the more treatment, the more press, the more exposure, the more "awareness" the more "acceptance". What if next year the CDC does the survey again and it comes up with 1:40? And then what if the year after that they came up with 1:35? What if one day everyone was autistic to some degree or another? What if the number was 1:1? How would the education system look if instead of autistic children being the "drain on public resources" they were just like every other kid? What if they had to do away with IEP's because every kid needed "special" accommodations in order to reach their full potential, so they had to change the way school looks entirely? What if students were taught according to their strengths and didn't spend all day working to shore up their weaknesses? What if every student could relate to every other student's neurology and struggles? What if EVERY parent understood what you were going through? What if the government, recognizing a true need started pouring money into education because it was the best way to address the needs of their growing autistic population? If you're autistic, or have an autistic child...you should be celebrating every CDC survey that comes out with ridiculously high numbers...they mean your issues are getting serious media and political attention. They mean annoyingly ubiquitous (and often wildly inaccurate) press reports about cures and statistics, problems, abuses and intolerance that actually get your child's (or your) struggles noticed...validated...dare I say...addressed. I don't believe the number. I don't think it was arrived at in a particularly reliable fashion. I don't think it presages any epidemic...but...I'm cool with it. Because my daughter is autistic...everybody else is just playing catch up. If you don't feel like waiting for the government to help out autistic adults and children, please consider supporting Lily and her team "Just a Lil Walk" as we walk in May, by registering to walk, virtually walk, or donating to ABOARD in the name of "Just a Lil Team" here: Sign Up Page. It's easy to sign up and join the team, then we can all walk and do our part to help support the needs of our ever-growing autistic population. Jim, your logic never fails to impress. Sometimes it fails. Sometimes it fails so hard. Hold on just a damn minute. Are you suggesting that kids would do well with individualized instruction? What a radical thought. Wait, education reform based on the needs of children and their... education? We are going to have to shield Jim from the FBI, you know they'll be coming after him soon enough. I love your idea for IEP's! :-) As I'm sure you know, the last numbers the CDC spouted were wildly inaccurate. 1 in 88 is definitely not where we are at today...it is far worse. Those numbers came from only 14 test sites across the US for 8-year olds only in the year 2008 (born in 2000). My kids, heck my State, were not included in those numbers. The CDC's data was far from complete, but even in that small sample it was easy to see that autism incidence rates continue to rise at blistering speeds. If we did a population-based study, similar to the one conducted in South Korea, I think people would be shocked. 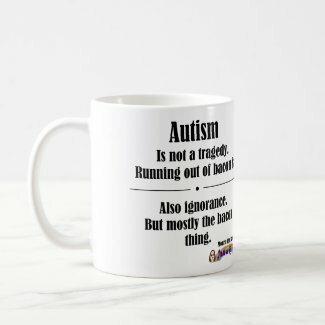 As an autism parent, I continue to wait for the data to catch up with what I already know in my gut to be true. Genetics and better reporting simply cannot account the for sharp increase we've seen in the last 20 years. In the meantime, families continue to do their best with little support (particularly in my state) and we have to try to create a path for our kids, and hope and pray for their future. 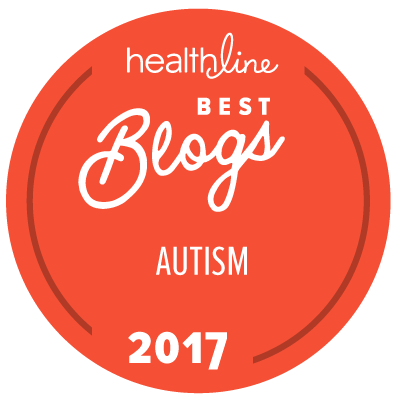 Maybe someday soon autism will get the attention it deserves! Stuart Duncan JUST TODAY was saying he thought it would be very useful to see a study like the one they did in South Korea in the US. Great post Jim! I love the way that little mind of yours thinks. BTW...If I click the link below to the ADHD boarding school do I get a Just a Lil Blog discount? Boy I would love to send one of my boys to boarding school! Yes...I know I'm an awesome mom. Thanks, Karen! No discounts, unfortunately! Jim, you always have a way of putting things into perspective for me. That made a lot of sense and I hadn't considered it that way before. Way to go. Am so pleased to have gotten your link this morning to this post. My thoughts exactly on the new CDC "survey" of 1 in 50. And again, "what if" this is what it looks like in school very soon? I was wondering that yesterday when I read the report...and again this morning when I spoke with the SE teachers. Thank you. "What if they had to do away with IEP's because every kid needed 'special' accommodations in order to reach their full potential, so they had to change the way school looks entirely? What if students were taught according to their strengths and didn't spend all day working to shore up their weaknesses"
This struck me because we just had my daughter's IEP meeting this morning. And while they are moving her toward a more mainstream program with more self-advocacy, there's still a part of me that wishes that schools focused more on playing to strengths rather than fitting everyone to a mold to meet funding requirements. It frustrates me, because the things she's good at, the things she excels in, and the things that she plays to do for a career, aren't always the same things that they measure in terms of grades. I worry about her ability to get scholarships because her grade point isn't going to be a 4.0 not because she isn't smart, but because they aren't teaching and testing for the things that she does extraordinarily. And the things they do test (specifically math) are her weak points that bring everything else down. Maybe these surveys will help us adjust our education system to meet every child where they are, rather than making every child meet some random standard that has no bearing on real life. One can only hope.